The damage from the severe storms that rolled through the Northeastern United States on 6/7/13 caused considerable damage from the amount of rain that fell in such a short period of time. Some local areas received more than 5 inches of rain in less than a 24 hr period. 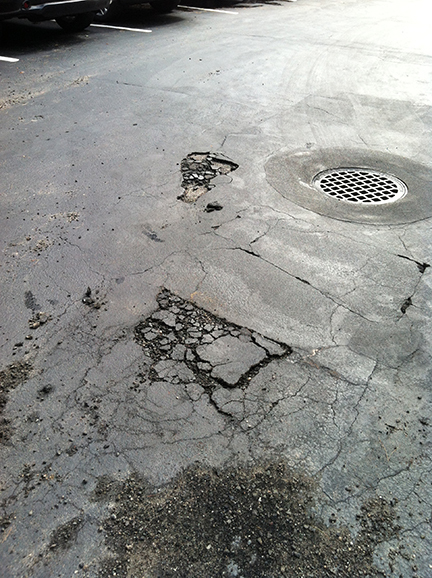 The Roads and Parkinglots were not able to accommodate this amount of rain without sustaining water damage to their surfaces. 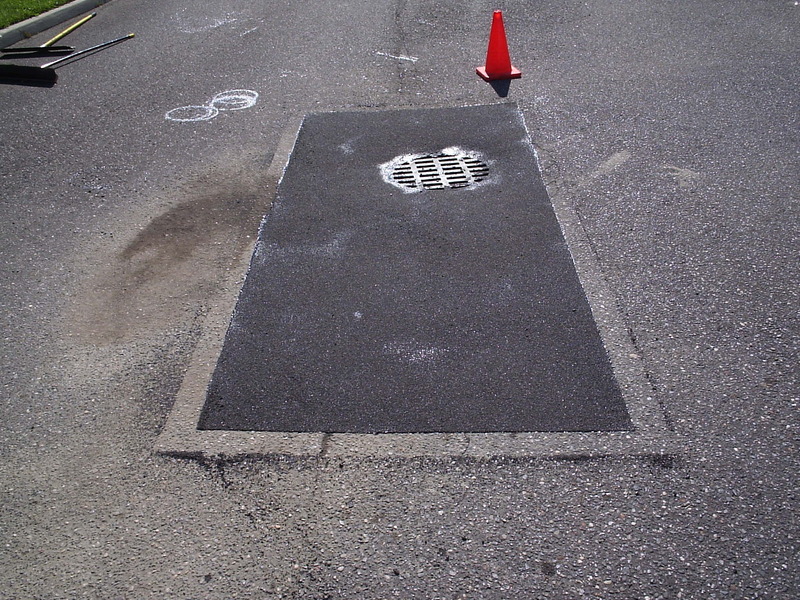 But, with Flomix™, repairs were performed in 15 minutes and opened to traffic in less that 30 minutes saving hundreds if not thousands of dollars in repair costs. 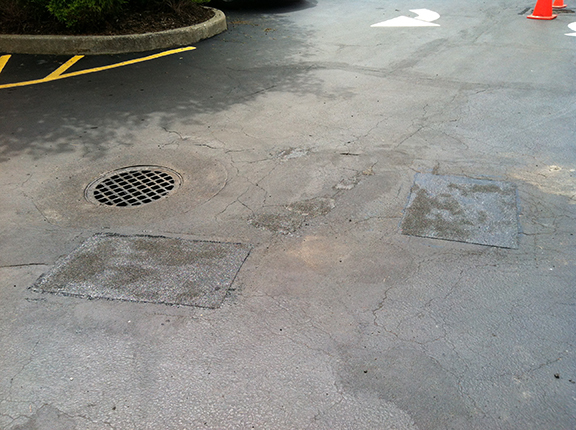 Here are some before and after photos sent in by some Flomix™ customers! 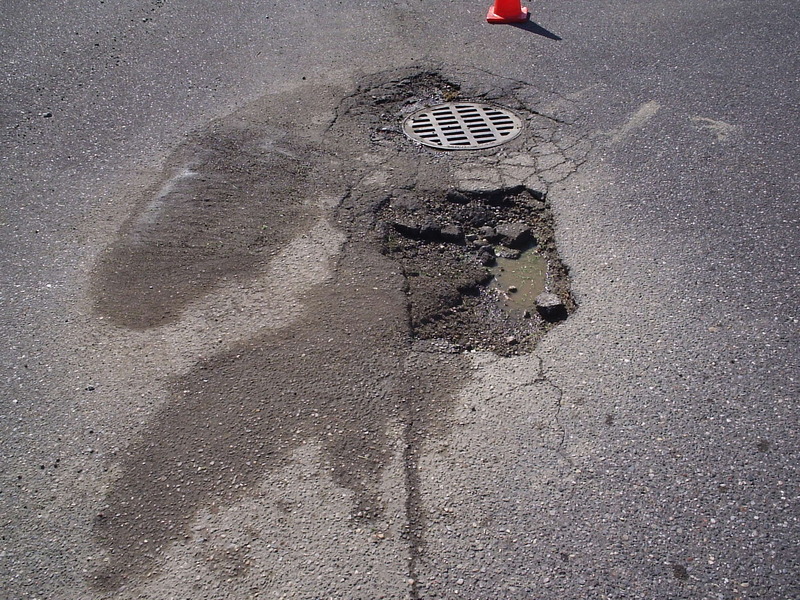 Now Is The Time To Fix Your Potholes!! 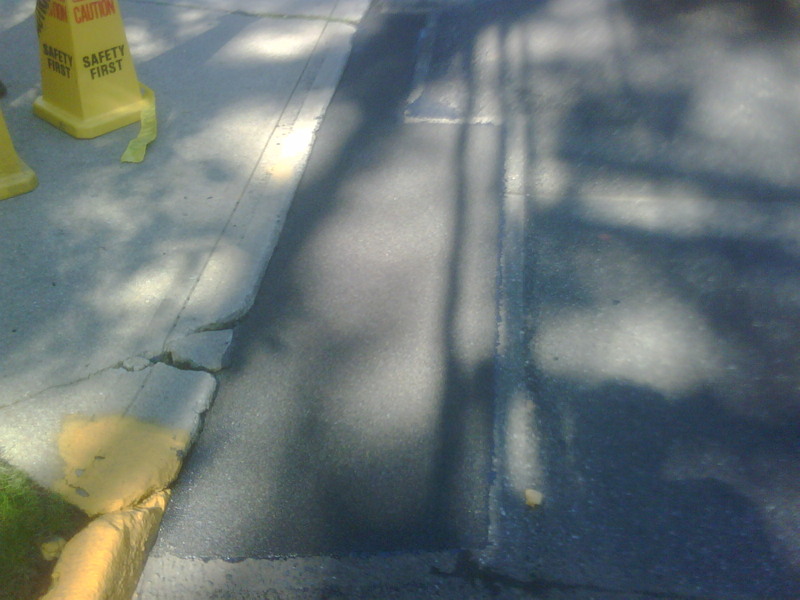 Fillpro Industries, Inc. has been traveling Long Island and NYC showing the cost effectiveness of Flomix® & Flexset®. We have been showing customers how to use these products to their fullest potential and showing how Flomix® & Flexset® have been saving Businesses, Municipalities, School Districts and Home Owners up to 80% on Ashalt and Concrete Repairs! 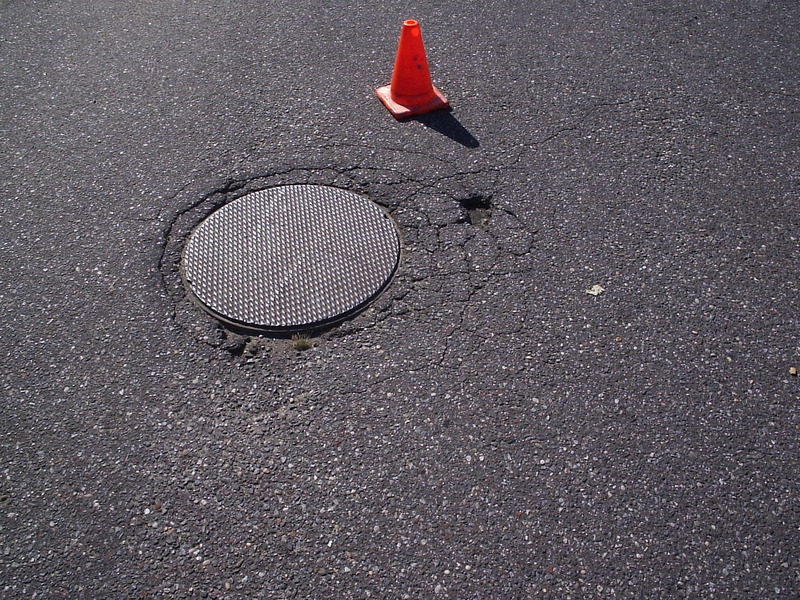 Now is the time to repair Potholes and Sidewalks before School starts and Businesses start up again, when Students come back to school and people come back to work from their summer vacations. Call FillPro to schedule a demonstration of these products! For a limited time, with a purchase of our 5 Gallon Kits of Flomix® or Flexset®, We will install up to "5" - 5 Gallon Kits "For a Minimum" charge to show you the Power of Flomix® & Flexset®!!!! the SlabGasket® Line of Products! Fillpro Industries has just started carrying SlabGasket® products. 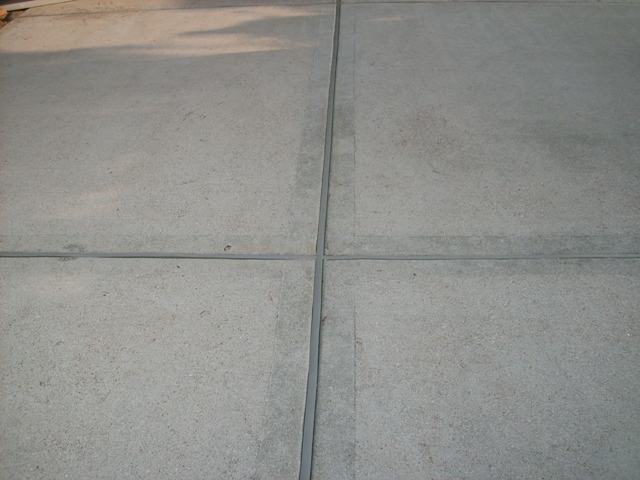 Vinyl expansion joints designed to replace the rotten or missing wood in residential, commercial or institutional driveways, sidewalks and private clubs, neighborhood or residential pool decks. 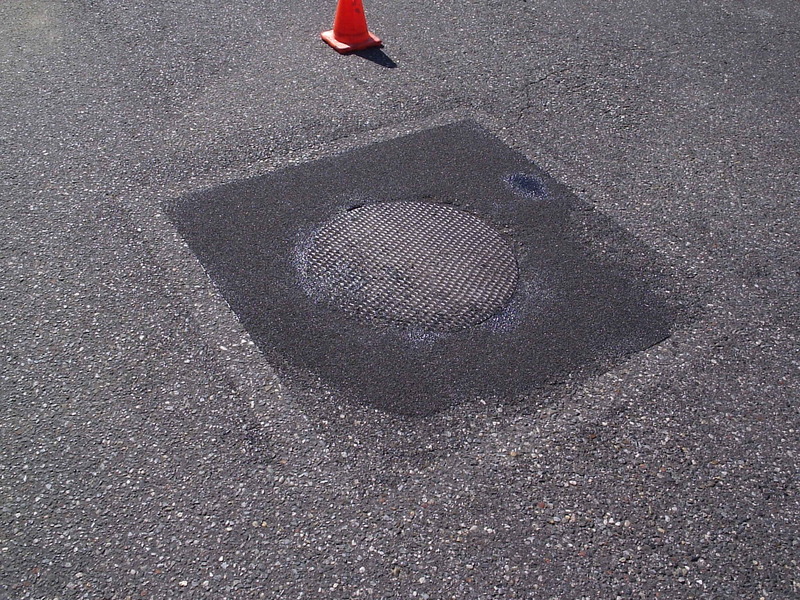 It can also be used in concrete or expansion joint repair projects at malls, universities, commercial buildings, parking lots, city sidewalks or streets, airport or heliport tarmacs or hanger areas. 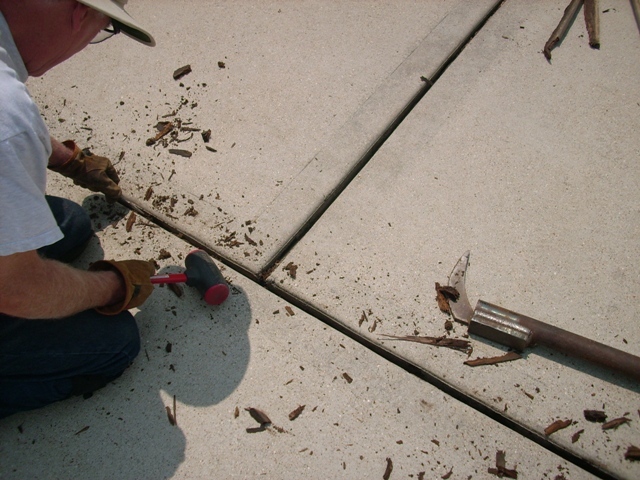 It is a cure for trip and fall hazards associated with empty or rotted expansion joints. It has a 400 degree melting point and withstands below freezing temperatures. 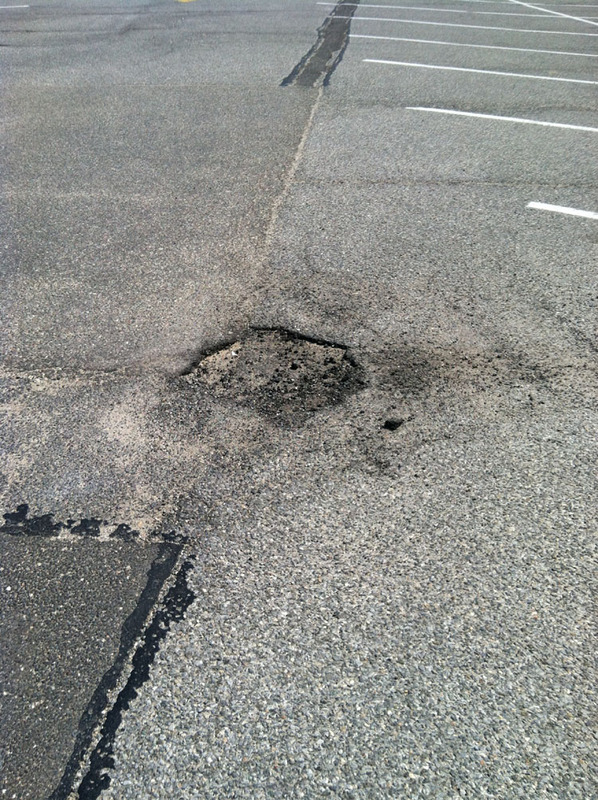 Kings Park Central School District Saving Taxpayer Dollars!! Fillpro Industries,Inc. 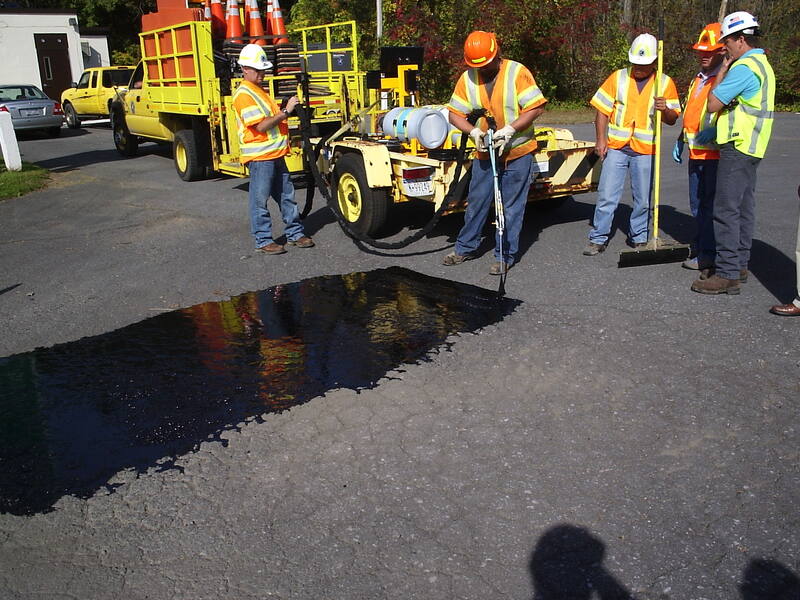 last month performed a demonstration on the uses of Flomix® to keep up with potholes in their parking lots district wide in the most cost effective way. 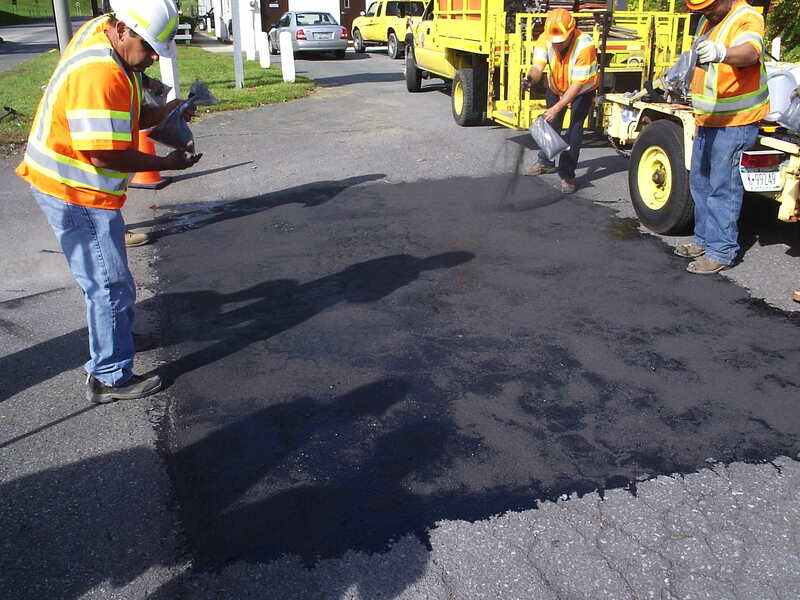 Their facilities personnel were shown, and witnessed first hand, the simple and extremely easy application of Flomix® and the cost savings of using Flomix® over conventional hot asphalt patching methods. 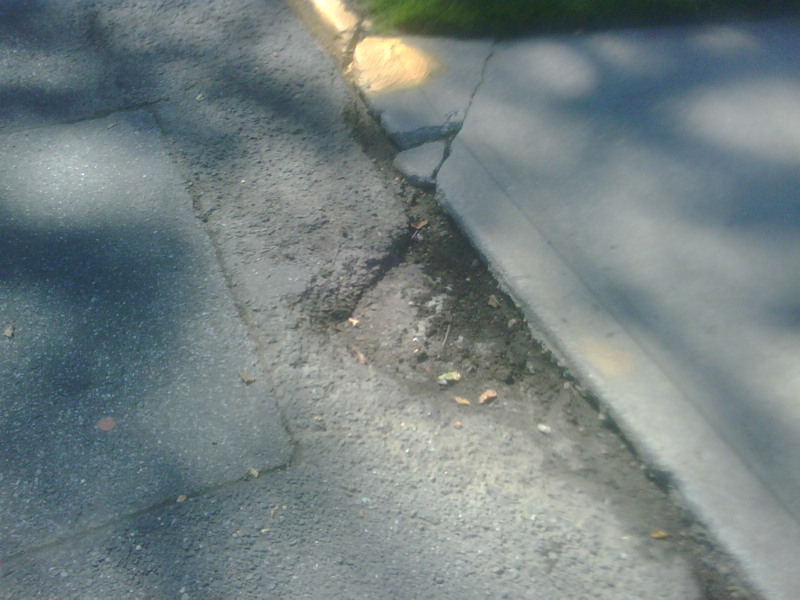 We estimated that to have a crew come out and cut out and remove the above pictured pothole, cart away the debris, install RCA base, install hot asphalt, roll it and apply ACT at the seams, would have taken a paving crew of five, three hours to complete. 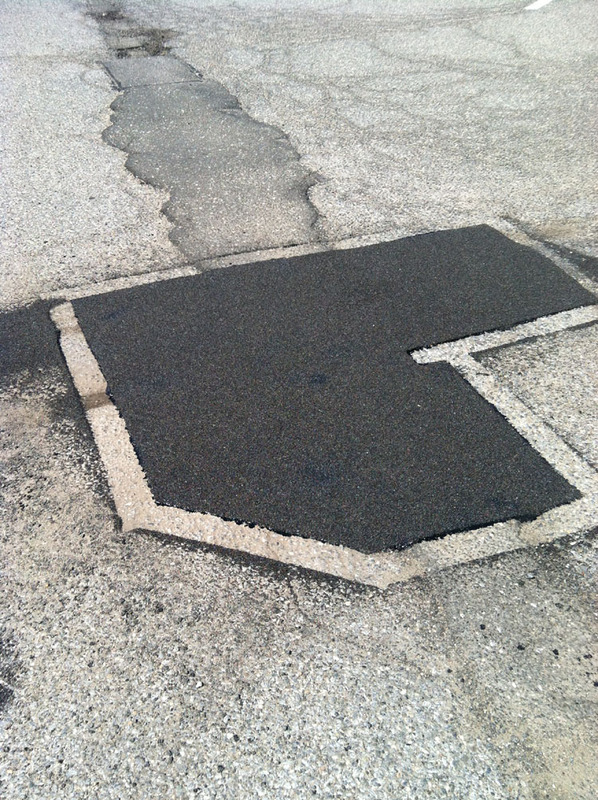 The permenant patches pictures above were completed in 15 minutes and opened to traffic in less than a 1/2 hour. You Can Do The Math!!!!! Keep on saving Kings Park Taxpayer Dollars!! 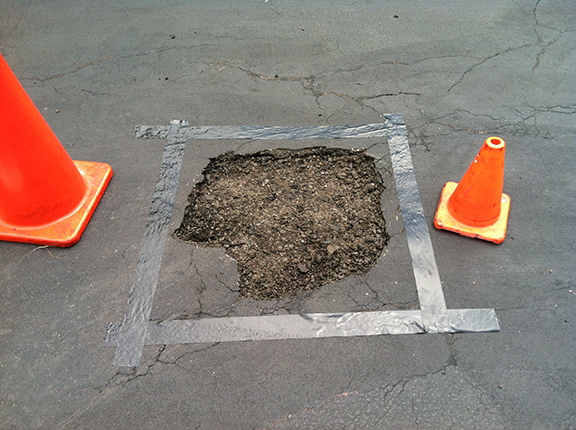 The New Cost Savings Approach to Asphalt Repair!! 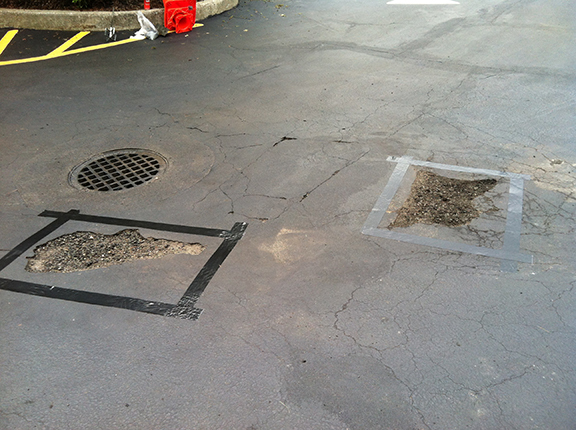 The above pictured repair work, located at the Suffolk County Department of Social Services facility in Bayshore, NY, was priced out by an Asphalt Contractor in which they estimated a five man crew for 6 hours to saw cut the asphalt, remove the sections with a Bobcat and cart away debris, install RCA and compact with a tamper, install new asphalt and roll out with a roller and install Hot Liquid ACT on the seams at a proposed cost of $2,500.00. 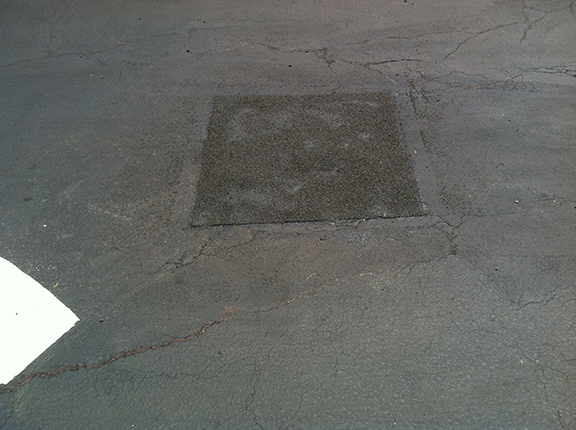 The repair was performed by a Fillpro Industries, Inc. Certified Installer for Flomix® with One Man for One Hour using Two 5 Gallon Flomix® Kits @ $99.00 per can, a broom, trowel and a mixer for a Total Cost of $273.00!!! How is that for Saving Your Tax Dollars!!! !